Attractive visibility directly influences the business of any company irrespective of its size. About a decade ago, websites were highlighted as essential for global-scale visibility. SEO became popular with people’s increasing reliance on search engines and the popularisation of social networking made SMO crucial for business. Similarly, mobile website design is the need of the age, especially for small and medium-scale businesses. Several survey-reports have revealed that nearly all the smartphone users use their handsets to access information, transact and shop online. The figure is increasing. Thus, small businesses that rely on visibility cannot afford to lose potential customers who primarily use their handsets for online purposes. In fact, statistics reveal that web-traffic generated via mobile devices varies from 20% – 50% of the total depending upon the product and/or service offered by the business. Mobile websites designed by Local SEO Tampa Company have custom-designed user-interface, up to 6 web-pages and a blog, contact form and call button, custom-designed navigation and separate development from regular websites. Though it is not packaged, clients may seek SEO service too. Local SEO Tampa offers SEO, SEO analytics and negative SEO remediation. 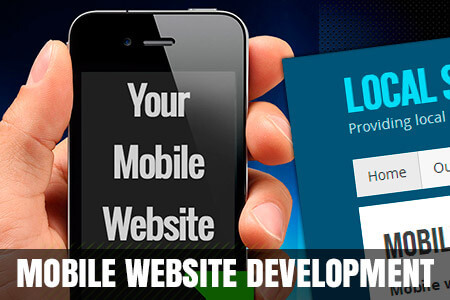 Thus, business owners can hire one company for mobile website as well as additional service as per their requirement.